In 1917, the French army launched a plan to build a replica Paris in order to fool German pilots and bombers. A book recently published recounts the story. 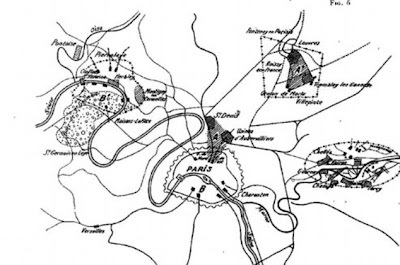 As the First World War dragged on and military equipment progressed, the city of Paris - initially psychologically far from the front line - became more and more a target of enemy attacks. But how could the city protect itself from night-time zeppelin and gotha raids? The answer was to build a simulated city of Paris. 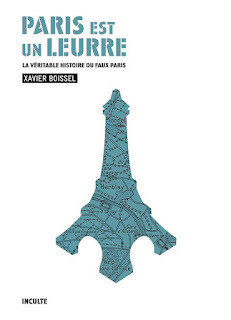 The story, recounted by Xavier Boissel in his essay 'Paris est un leurre', is fascinating. The idea was to plunge the real city of Paris into darkness, and to create fake ‘blackout’ zones in three areas around the city. 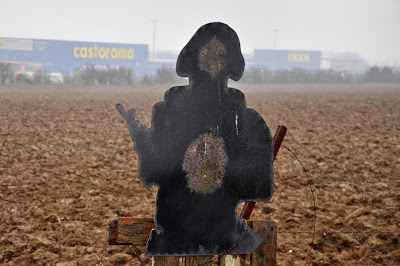 To the east – near Chelles - a zone of factories and workshops, to the north – close to today’s Charles de Gaulle aiport - fake train stations and tracks, and to the west – around a curve in the Seine near Maisons Lafitte and Conflans – the centre of the city and its monuments. Read my interview with Xavier Boissel here, in English and in French. With aviation in its infancy, pilots had to fly by sight rather than radar, and literally throw the bombs from their aircraft. The plan hatched by the French military was to divert the aircraft along fake railway lines towards artificial installations that could be bombed with a minimum of material and human cost. The project was eventually interrupted by the armistace before it had ever really begun, and frustratingly for Xavier Boissel - and potentially for readers of this book - very little in the way of documentation for this scheme can be found today. Mysteriously, he even reports that the French Military documentation centre at the Chateau de Vincennes deny all knowledge of the project. In truth, Xavier Boissel does not attempt to dig too deeply in military archives. The idea behind the project and its planned execution had already sparked sufficient inspiration for a number of unexpected associations and tangents. After giving an outline of the project, Boissel focusses on three aspects. An investigation of the project's territories, which he entitles - in reference to Georges Perec - 'tentative d'épuisement d'un leurre parisien', a look at the role of trickery in war, and the significance of illuminations and artificiality in the ville lumière, both during and after the war. The clues that any such project ever existed stem back to an article published in a magazine called L'Illustration in 1920. It is not clear how this material came to be published, as it was - and obviously remains - confidential, but these snippets offer a tantalising look how the project may have functioned. It suggests that work began on the fake factories and train stations, and a single map plots the positions of the most important (fake) monuments of Paris in the zone to the west. From this minimal sources, Xavier Boissel set out to explore the territory in order to truly get a feel for the project. “I wanted to go there to get an idea of the ‘field’, just to see what the areas selected by the French Chiefs of Staff actually looked like. As the project was for a virtual city, it was important for me to get back to reality, to reappropriate the physical world” Xavier Boissel tells me, before pointing out that there was also something ‘poetic’ in his walks. “By superimposing plans of the fake Paris on top of the places where I did my drift, elements that were bizarre and ironic arose in the very fabric of the land” he explains. Indeed, it is this part of the book that is perhaps the most successful. Xavier Boissel drifts through these territories in the company of Didier Vivien, a photographer friend (whose photos can be seen on the website that accompanies the book) and his architect son, and although they find no definite links to the project, it nevertheless feels like everything in these zones is somehow relevant. Although Xavier Boissel points out to me that the chosen sites were at the time "rural...and completely unlike the places we can see today", they are still nevertheless largely on open ground. The trio wander alongside military sites, archeological digs of ancient military camps and even into an abandoned paintball terrain. They find an old dictionary, open on the letter A, with the words 'artist', 'artillerie' and 'artifice' clearly visible, and discover that the crash of the Concorde aircraft in 2000 also occured in one of the zones. After concluding - by quoting historian Lucien Febvre - that if history cannot be studied through written documents, it should be written through investigations of landscapes, weeds, geology and abandoned materials - in other words anything related to man's desires and needs - Xavier Boissel moves on to an investigation of other significant traces of this project. 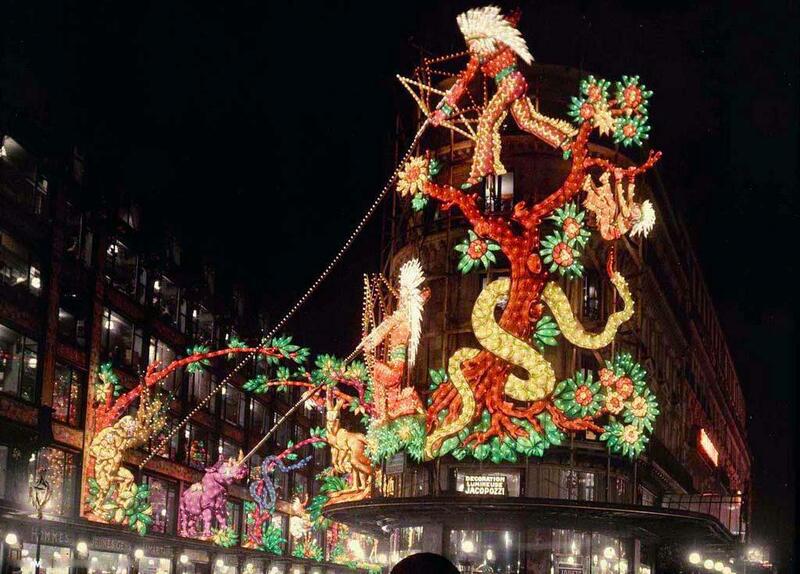 Jacopozzi's illuminations on the Samaritaine store, photographed by Leon Gimpel. Thanks to Xavier Boissel for the photo. The evidence from L'Illustration suggests that the only part of the project that was undertaken was a vague recreation of factories and train stations, which were little more than feeble constructions in wood and plastic. 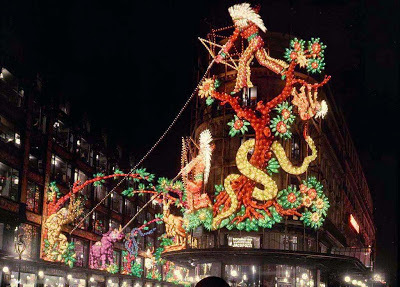 However, the lighting designs for these zones was far more advanced, with thousands of multicoloured lightbulbs mimicking the movement of trains. It is even said that this lighting system was verified from the third story of the Eiffel tower. With the darkness of war over, Paris quickly transformed itself back into a city of lights, and this time Jacopozzi's projects came to fruition. As Xavier explains, it was a rapid change from 'diversion to entertainment', but in both cases the city itself was obscured, "as paradoxically the over exposure of the twenties helped transform Paris into a shadowy city. That the war served as a testing ground for this simulacrum is quite remarkable." 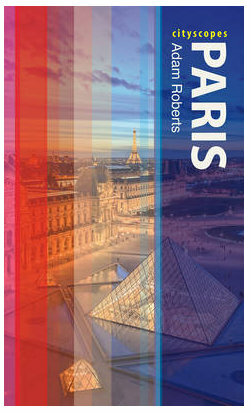 From the investigation of an unusual military project, the book - confronted by a lack of source material - morphs into musings on the usage of camouflage and trickery in wartime, Paris in light and shadow, the strange peripheral territories of our cities, and whether there is even any such thing as an authentic city of Paris today. And it is all the more interesting for these digressions and diversions. "Paris est un leurre" is published by Inculte, and is available from all standard suppliers (here for example). Unfortunately, no English translation of this book currently exists. Discover also the website that was produced to accompany the book, which includes maps of the sites and all photos taken by Didier Vivien. Read my full interview with Xavier Boissel: in English or in French. Watch a video interview (subtitled in English) with Xavier Boissel on the ParisLike web magazine. Interesting (as always)! I seem to think that there was a similar scheme by the Germans in WW2 at some of the ports in Brittany. I do know that decoy sites were built in England in WWII recreating railway sidings etc in the countryside, from memory I think they were called Starfish sites. A number were built in Leicestershire where I live.